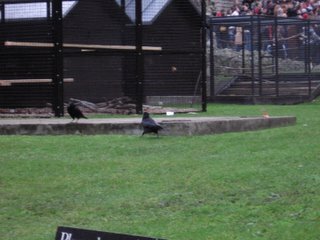 In the post the other day, when I said that the crows can't leave the Tower, I meant ravens. And when I said "wings clipped," I meant "wings clipped and put in cages at night." 1 - If great, it costs around 1/10 of other Indian food around London and the world and could potentially destroy the Indian food culture. Go, Pakistan. 2 - If bad, I promise that my stomach will entertain you over the next few days. 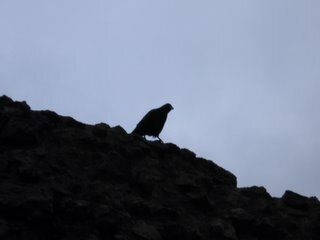 But anyway, here are some more of the pictures from the panoramic tour. 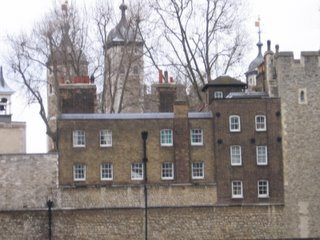 Today's set features the Tower of London, which is pinpoint what a castle should look like. Except for the torture devices, which were sorely lacking...or still in use. 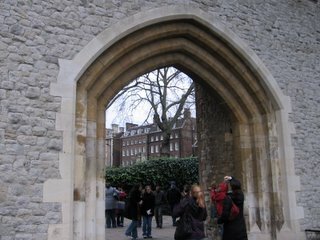 Above: A pointed arch in the Tower, inspired, of course, by those who originated the pointed arch (Romans?). Below: A view from in front of the Tower, standing right off the Thames River (not quite as clean as the Charles).